ANOMALY is a short film combining incredible footage from Iceland with stunning visual effects. ANOMALY is a short film dreamed up by Jacco Kliesch who traveled to the ‘Land of Ice and Fire’ in October 2017. With a concept in mind of what he wanted to create Jacco teamed up with Wildboar 3D Studio and the film below is the result. Personal note: I was blown away when I first started seeing clips of ANOMALY on Instagram last week. I quickly learned more about the guys behind the film, Jacco Kliesch and Wildboar, and I asked them if they would be open to giving the From Where I Drone community a behind-the-scenes look at how it was created. Thankfully they said yes so be sure to scroll down to get a behind the scenes look and learn more about how this epic film was made. How did this project come about and how long did it take to make? Jacco Kliesch: Last year I decided to go on a trip to Iceland. I already knew I wanted to make a travel video. So I did some research – and noticed that there were already so many cool films and drone videos about Iceland. I wanted to create something unique though so that was the start of how I came up with the concept for ΔNOMΔLY. Jacco’s concept presentation where he explained the basic idea, did some research about locations and showed some rough drafts of the visuals using Adobe Photoshop. I recently sat down for an interview with my friend Jay Worsley who is an award-winning filmmaker & photographer. Jay just launched a brand new drone cinematography course called Drone Master Class for those looking to up their drone game. I have known Jay for almost three years and have interviewed and featured his work on this website a couple times which you can see here and here. Jay’s drone course is called Drone Master Class which is an online video course designed to challenge, inspire, educate and push your aerial filmmaking to a whole new level. To learn more about Jay check out the video he made for us below or skip further down to read the interview I did with him. If you can make it to the end of this post or the video then you’ll see that Jay has generously offered From Where I Drone readers a $50 off discount code. To receive the discount just enter “FWID” at the Drone Master Class checkout page and the discount will be automatically applied. If you are creative, technically inclined and have an idea for the next big innovation in the field of drones and unmanned aerial vehicles (UAVs) then listen up! Each year GENIUS NY (Growing Entrepreneurs In Upstate New York) awards innovative startups from around the world with millions of dollars in funding for their drone-based ideas and businesses. This year they are at it again and are looking to hand out millions of dollars to startups in the drone industry. GENIUS NY is currently accepting applications for the drone pitch competition which takes place later this year. For a chance to participate in the competition you must apply by October. Those who are selected will move forward and pitch their ideas to a panel of judges, with a live audience present, and have their work evaluated and scored. From there GENIUS NY will award five lucky finalists teams with a total of $3 million dollars in funding to ring their drone ideas to life. and I have to say I am even more excited than I was when I first started reading the leaks. Why? Well today DJI released two different versions of their Mavic drone line and they both have some impressive features that weren’t leaked before the event. 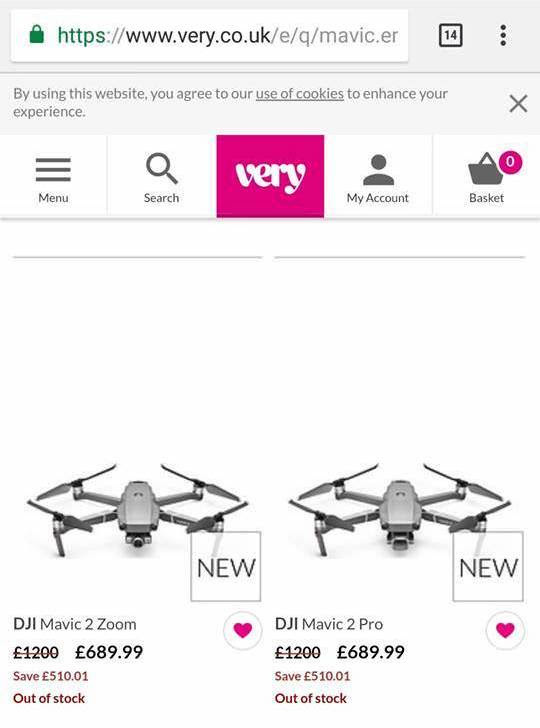 To get you up to speed you need to know there are now two different versions, the Mavic 2 Zoom and the Mavic 2 Pro. 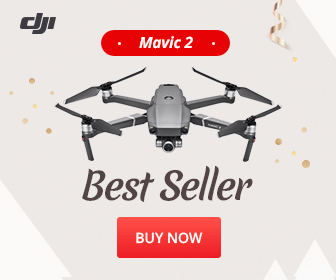 Did you know DJI is releasing a brand new Mavic 2 drone this week? I have to be honest, I am pretty dang excited. The new Mavic 2 is expected to be offered in 2 or 3 configurations tomorrow for DJI’s “See the Bigger Picture” event in New York. The event starts tomorrow, Thursday, August 23 at 10am EDT. A direct link for DJI’s live stream of the event is right here.